Part of my immersion in all things NBA involves listening to sports podcasts, especially ones focused on basketball, and the list of NBA podcasts I subscribe to includes The Starters. I admit, this is partly a bit of nationalism, a tribute to the show’s Canadian origins. But it’s also just because I find it entertaining. A couple of weeks ago, on The Starters’ Twitter Show, the hosts were drafting NBA players for their escape room dream teams. This was inspired by the Lakers’ recent escape room / team bonding experience, and could make for a decent party game of sorts. But one of the comments got me thinking again about my interest in the connections between higher education and the NBA. I’m already slightly invested in Malcolm Brogdon because I joined the fantasy basketball world this year and he’s on my team. But this new (to me) information, especially the part about the graduate degree in public policy, made me want to find out more. And here, I share what I found. It seems like Brogdon had some early advantages when it comes to higher ed. His mom has a PhD and a successful career at an institution called Morehouse College. And his dad’s no slouch either: he’s a professional mediator and a former trial judge. I don’t know what the Brogdon-Adams family dynamics are like, but I can imagine the kids being groomed for college from day one. So he’s smart, gifted in sports, and works hard to make the most of these advantages. But apparently he’s humble as well. And his post-NBA dreams are geared toward fighting inequality internationally. Hunger and poverty in Ghana are particular focal points of Malcolm Brogdon’s desire for change. 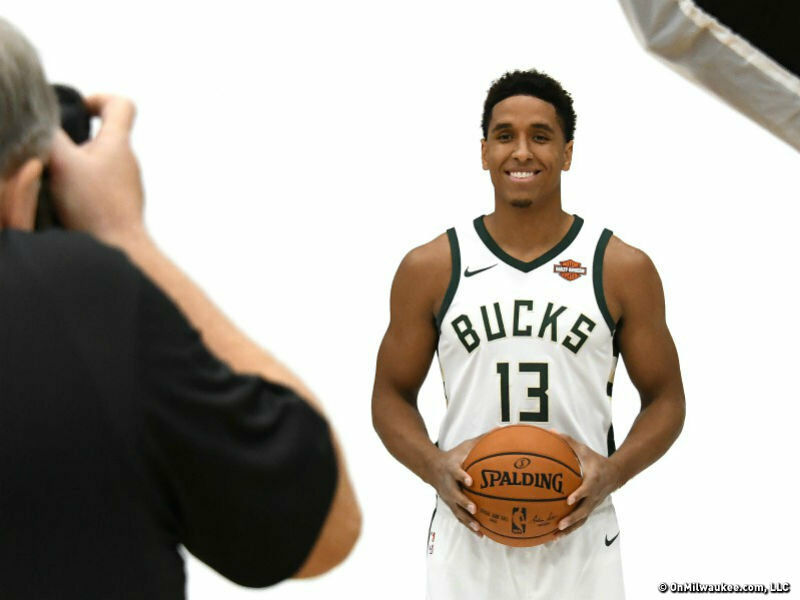 A childhood trip to Africa, where he learned what hunger truly looks like, motivates Brogdon to this day, but now he’s better prepared to respond to what he witnessed. “… some day he endeavors to take his college degree in public policy and go to underdeveloped countries where he will teach their people about clean water and sustainability with their own crops. Not everyone is meant for higher education. And far fewer people are meant for professional sports. Pursuing both at the same time and succeeding – well, that’s even rarer. It’s clear Malcolm Brogdon had to commit to living his life in a certain way to achieve what he has. But he definitely made some important decisions and had some crucial help along the way. Brogdon could have attended Harvard, yes. But he didn’t because he wanted to study and to play basketball. Apparently going to the University of Virginia allowed him to do both. According to USA Today Sports, coach Tony Bennett was willing to adapt the Cavaliers’ practice schedule around classes Brogdon couldn’t miss. That signals support and respect. Another key move in Brogdon’s career so far was his decision to delay entering the NBA draft. In the “one and done” era when the top draft picks spend the minimum amount of time in college, Brogdon stayed at Virginia for five years. He earned that bachelor’s degree in history and then stayed on to graduate with that master’s degree in public policy. It’s not a choice every star athlete can or should make. But it says a lot about Brogdon and his potential future throughout and after his time in the NBA. I don’t know Malcolm Brogdon. Chances are I’ll never meet him. I don’t know what he’s like to be around or live with. But I can watch his game and respect his chosen path. And though it doesn’t mean anything to anyone but me, I’m honoured to have him on my NBA fantasy team. p.s. I also found a story that names Malcolm Brogdon the only NBA player to have an agent who is also a woman. Feature photo credit: David Bernacchi.